The Kang of China are a sub-group of the Dai, one of China's 55 officially recognized ethnic minorities. Until the 1950s, they were known as the Tai or Thai, and in neighboring countries, they are still called by those names. Most of the Kang live in the southwestern corner of Yunnan province, near the Laotian border. They generally live a little further north than most other Dai groups, and their classification is somewhat uncertain. Some scholars believe that they are more closely related to the Dong minority than to the Dai. The Kang homeland is characterized by beautiful mountains, valleys, and streams and has a subtropical, spring-like climate year round. The years are not divided into summers and winters but rather into rainy and dry seasons. Palm trees, banana trees, and bamboo grow in abundance, and the vast forests are inhabited by animals such as elephants, tigers, leopards, bears, monkeys, and peacocks. The overwhelming majority of the Kang farm for a living. Rice, grown in irrigated fields, is by far the primary crop, but the Kang usually reap a small harvest. Plowing, cultivating, planting, weeding, and harvesting are still accomplished with primitive hand instruments such as wooden hoes and sickles. Other crops include tea, cotton, sugarcane, tobacco, coffee, pineapples, and mangoes. Typical Kang villages have 30 to 40 households, although many settlements are larger. They are characterized by huge banyan trees and delicately designed Buddhist temples or pagodas. Among most Dai-related peoples, houses are made of bamboo and are built about six to nine feet above the ground on 21 wooden posts in three rows. The area below the house is used as a shelter for livestock and as a storage area. The walls and rafters are made of bamboo, while the roof is thatched. The interior of the house is divided lengthwise into two rooms. Each year the Kang, along with all other Dai groups, hold a famous celebration known as the Water Sprinkling Festival. Although the festival was once a Buddhist holiday, today it is celebrated more as an expression of Dai culture and has become a popular tourist attraction. During the festival, the Dai build small sand replicas of pagodas, listen to monks reciting prayers, venerate a statue of Buddha, and sprinkle each other with water. In the past, when a boy reached the age of 8 or 9, he was sent to a Buddhist temple to live as a monk for at least two years, but more often, for ten years. At the temple, the boy received a new name. If he chose to leave and return to secular life, he received another new name. Upon the birth of his first child, he and his wife would both receive new names. During the Cultural Revolution, this practice was repressed, but today it is making a comeback. 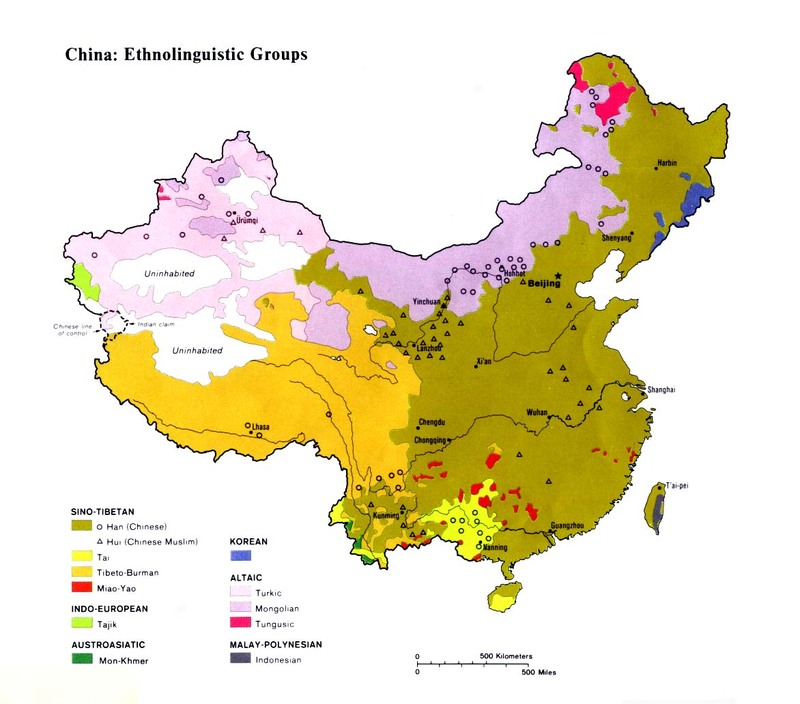 Many of the Kang follow ancient Chinese folk religions. Chinese folk religion is characterized by a blending of religions. It has added Buddhist, Confucian, and Taoist elements over the course of time and is centered on the concept of maintaining harmony. The Kang consult horoscopes in an attempt to determine which course of action will promote harmony and bring good luck. They also believe in a pantheon of spirits who inhabit the earth. The spirits of their ancestors supposedly roam the earth, and, if treated properly, are benign and bring good luck. Deities are supposedly the souls of people who lived especially virtuous lives. They are believed to have spiritual powers that they can use to benefit those who worship them. The lives of the Kang have improved since China's 1949 Communist revolution. More recently, China has witnessed dramatic economic development. However, much of the new investment is in the major cities and focused on industry and trade. In the regions inhabited by the Kang, progress has been slow, and the people there remain far behind the rest of the nation. * Scripture Prayers for the Tai Khang in China. * Ask the Lord of the harvest to send forth laborers to share God's love with the Kang. * Pray that God will give the Kang believers boldness to share Christ with their people. * Ask the Lord to bring forth a healthy and growing Kang church for the glory of His name! * Ask the Lord to save key leaders among the Kang who will boldly declare the Gospel.